Successful businesses treat their customers like royalty. Think about it. What is an outstanding shopping experience that stands out in your mind? Is it the time an employee at Zara helped you find the perfect outfit for a first date? Or that time as a teenager when a Best Buy team member encouraged you to buy the Playstation instead of the Sega Dreamcast you thought you wanted? 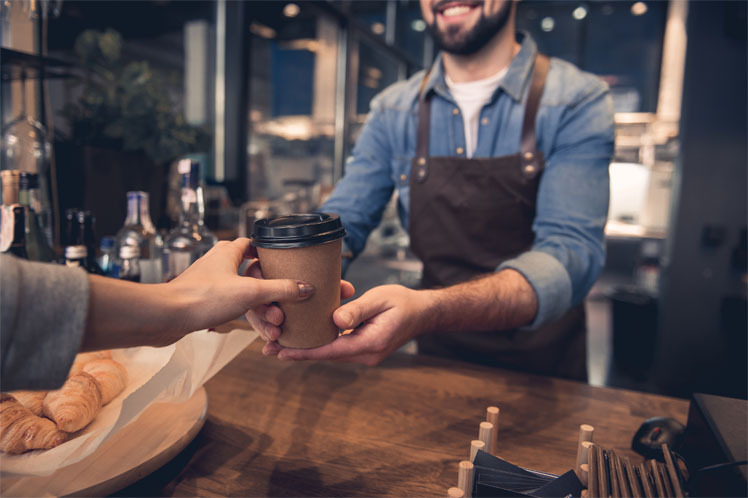 It’s personable and attentive interactions like these that make a lasting impression on customers and, thus, encourage customers to come back for more. That’s why we’ve created this guide to help you ensure every single customer interaction with your company is as perfect as possible. Try these five tips today and watch how quickly your customers make their way back to you. Roll out the digital red carpet. Though technology has made shopping easier and more convenient, it’s also made the experience a bit boring. And who likes boring? When shopping online, there isn’t that exciting salesperson waiting at the door to greet you. There also isn’t that fun 1990s-era Britney Spears pop playing in the background as you model your clothes in the dressing room. Therefore, companies need to roll out their digital red carpets to make online shopping experiences more exciting. Make your customers feel special by sending thank-you e-cards after they make a purchase, inviting them to your website for special sales and deals via promo codes, and checking in with them to see how they’re loving their new purchase. Who doesn’t like a good surprise every now and then? Birthdays are important dates for just about every human on the planet. When a customer makes a purchase, inquire about their birthday — and follow up by sending discounts or coupons on their special day. Another great milestone for surprise gifts are wedding anniversaries, especially for men looking for gifts to celebrate their special day of love. More specifically, when thinking about how to keep customers coming back, think about loyalty rewards and discounts. Maybe that means giving points to customers for each purchase, which they can later turn in for a free product. Or it could mean giving customers a free product if they bring in six empty product containers — that’s a cool perk that MAC Cosmetics offers to its customer base, which keeps folks coming back. Remember, first impressions are key. If the first employee your customers speak to is rude or in a bad mood, it dampens the shopping experience. It’ll make your customers take their business to greener pastures. Put your happiest, most efficient team members on your front lines. Your customers’ first impression of your company should be a friendly one. That’s the only way to get them to shop. Listen for your customers’wants and needs. Do you know what made your customer visit you today? Are they looking for something specific or just browsing around? Make sure you have a good understanding of your customer’s wants and needs. That’s easy to do if you own a physical store — just ask. If your customer heard about a sale, then have employees guide them to the sale rack. If the customer is browsing, make sure an employee helps them locate things in the store that may interest them. It’s easy to lose a good reputation if you don’t work hard to maintain it. Ever heard the phrase “word of mouth”? If one customer has a terrible experience with an employee or another customer, that can lead to lots of bad mouthing on social media. And if word gets around that your company is known for bad customer service, it’s hard to get your good reputation back. Avoid losing customers to a bad reputation by taking a step back to see how others perceive your business. Maybe ask customers to take a survey about your company’s service, and use their feedback to improve customer interaction. Of course, you can’t expect customers to want to take a survey with no incentive. So encourage them with a small discount. Both the survey and discount will result in returning customers. Is It Time to Add a Customer Loyalty Program?